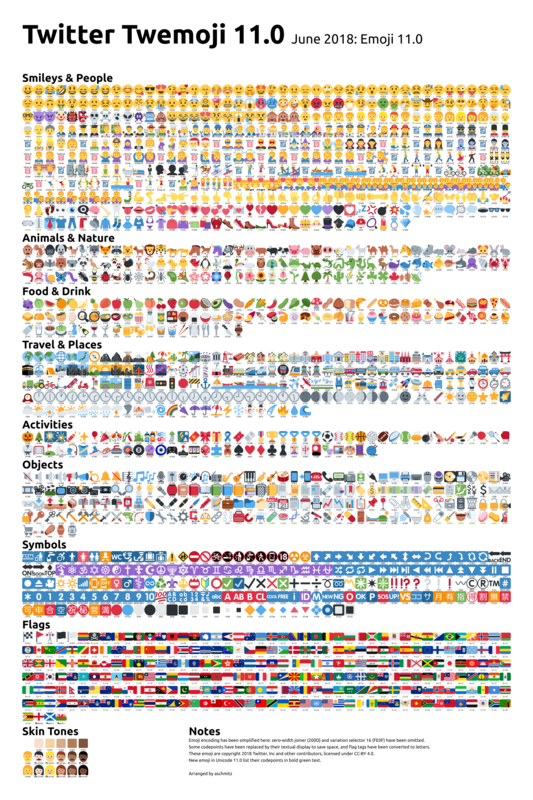 In case you wanted to see all of Emoji 11.0 right now, I&apos;ve updated my poster for Twemoji, which already has support for it. @aschmitz is there also archive of current icons in .SVG? @dym https://github.com/twitter/twemoji should do it, under 2/svg.